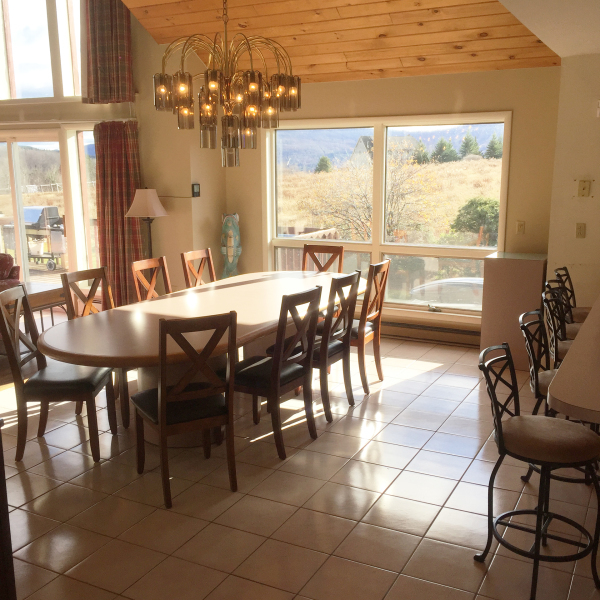 This luxury ski lodge is set on a working horse farm with 360 degree mountain views and is just minutes away from Windham Mountain Ski Resort. 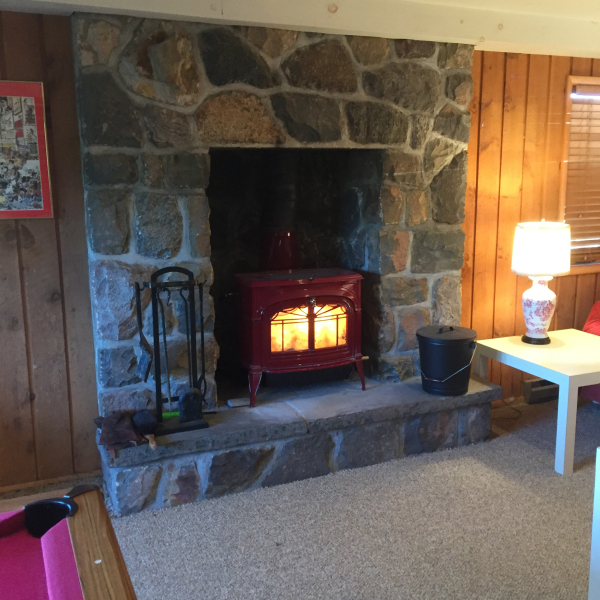 The lodge is situated at the end of a long, hemlock lined, private driveway. Once inside, your family and friends will find great spaces to be together and plenty of bedrooms to retreat to when the party is over. The main floor has a large kitchen, dining room and great room that is perfect for entertaining large groups. 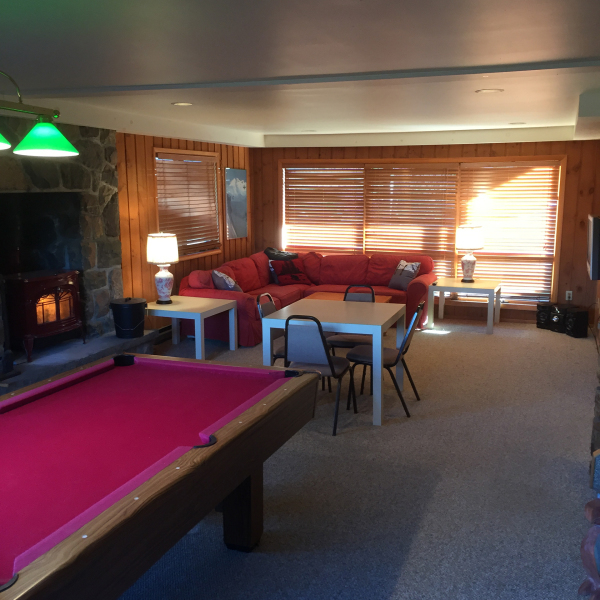 The first floor has a large common area with TV, a pool table and a dart board. Beyond the common areas there are plenty of bedrooms to accommodate large families and groups of friends. Just beyond the lodge you can walk down to our barns and meet the horses that live here at Dancing Horse Farm. Private horse care and horse riding instruction is a great alternative to getting out on the slopes. Whether you are here to ski, snowboard or want to learn to ride a horse, the Lodge at Dancing Horse Farm is the place where you will create memories that last a lifetime. Welcome home.